We’ve sold our 100th shared ownership home! Our sales team has just completed the sale in Porsham Heights, Southway. Shared ownership is an affordable way to get on the housing ladder. It allows buyers to buy a share of between 25% and 75% and pay rent on the remaining share. Over time, there’s the option to purchase more shares, known as staircasing. Our first shared ownership homes were sold in 2012. Since then, SO Living developments have grown across the city. Between 2012 and 2014, we sold on average 14 shared ownership homes per year and since then we have almost doubled our annual sales. Shared ownership is grant funded by Homes England and is a great opportunity for first time buyers wanting to own their home. Shared ownership makes home ownership affordable. 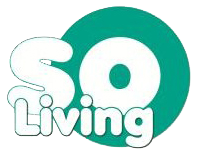 SO Living is part of housing provider Plymouth Community Homes. Nick Jackson, PCH’s Director for Business Services and Development, said “This is a great achievement for Plymouth Community Homes and SO Living sales, as it shows our commitment to providing an affordable opportunity across the city for local residents to buy their own home. We have a dedicated sales team that will guide potential owners through the process of buying a shared ownership property. We currently have four schemes throughout Plymouth – Southern Gate in North Prospect, Porsham Heights and Brentor View in Southway and Primrose Park in Whitleigh. You can view all the schemes herehere. As well as selling brand new homes, we also resell homes on behalf of owners who want to move on.